Internal Revenue Code (IRC) Section 1031 provides for the deferral of capital gains tax which would ordinarily arise from the sale of real estate. Exchanging defers the realization of the capital gains tax, leaving the property owner with potentially more proceeds with which to purchase a replacement property. The tax code states, “No gain or loss shall be recognized on the exchange of property held for productive use in a trade or business, or for productive use in trade or business or for investment purposes.” Real estate investors may accomplish greater leverage, diversification, improved cash flow, geographic relocation, or property consolidation. Although there are no assurances that any or all objectives will be achieved. 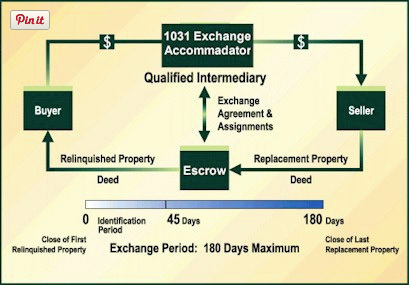 A 1031 Exchange is a three-way exchange in which an intermediary, usually a title company or escrow agent, is used to facilitate the transaction. 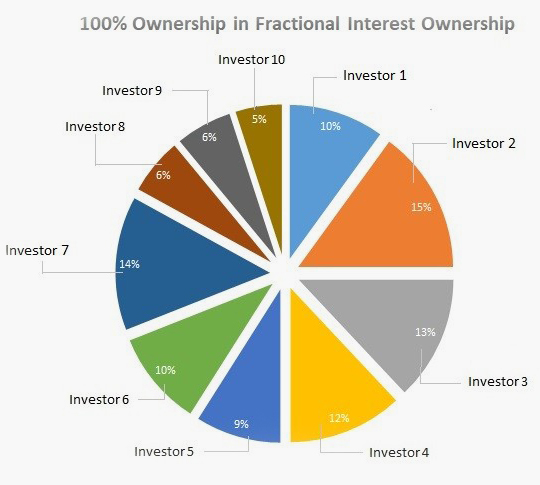 A 1031 Exchange offers the opportunity to purchase fractional interest ownership. When a property owner exchanges into fractional interest ownership, the owner is relieved of personal management. Instead, the property is professionally managed, with the potential to generate steady income, tax benefits and appreciation. Through fractional ownership you can sell your property and exchange into a high quality professional managed property without the tax consequences. There are two types of fractional ownership commonly used, the Delaware Statutory Trust (DST) and Tenants In Common (TIC). When it is time to sell the replacement property, you will have the option to do another 1031 Exchange and continue to defer capital gains tax! Of course there are benefits and disadvantages to both structures and it is highly recommended that you discuss the TIC or DST option with your professional advisor. The illustration describes how a fractional interest works. When the 1031 Exchange is complete, you will own a fractional interest in one or more qualityinstitutional grade multifamily properties. Income from your replacement property could potentially be greater tan what you were receiving from your original property. Virtually everyone who owns income property can benefit. Although owners are comfortable with real estate investments and have had good returns in the past, they do not like the daily headaches and expense that accompany property management. They are ready to give up the hassle of dealing with tenants, maintaining the facilities, paying property taxes and other costs of the property. Call your investment advisor. He or she will be happy to answer your questions and provide you with the information you need to get started with a Tenant-in-Common or Delaware Statutory Trust Exchange program or call RK Properties directly and ask for the Investor Relations department.